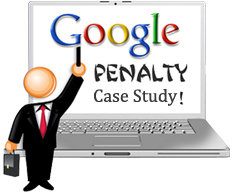 Our Google penalty case studies reflect how competently we handle Google penalty recovery from our clients' website with our Panda Penguin Compatible SEO services. 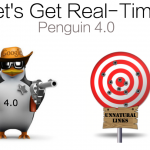 It was spring 2012 when Google introduced its long-awaited Penguin and Panda updates to punish websites with unnatural link practices and ranking tactics. 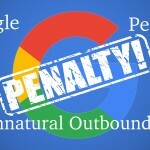 These algorithms led to the significant drop in visibility, ranking and traffic of the websites and above all became the primary reason for the Google penalty thereafter. At BrainPulse, we understand that penalties have dramatic impact on websites thus need quick correction and immediate action to get fixed. Our Google penalty recovery services are the best suited solutions to recocer your ranking and traffic if hit by these updates. 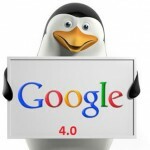 We have already helped numerous websites to overcome the Google penalty and regain their rankings. Our Panda and Penguin compatible SEO Services team comprises experienced webmasters having good knowledge of Google Panda and Penguin Algorithms and their drastic impact on the websites. They have already served a good number of clients so far successfully. Illustrated below is an ideal case study of one of our esteemed clients who suffered ranking loss due to Google Penalty. 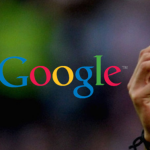 The Damage : How Google Penalty Affected Our Client ? Our client is a renowned online service provider of promotional gifts and promotional sweets who came to us for consultation when their website had been hit with a manual penalty resulted considerable dip in overall traffic and rankings. They were seriously concerned about the revenue loss and falling web visibility. When our client initially approached us, he was not confident whether or not the site was falling in line with Google penalty. 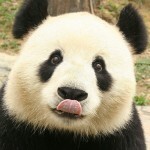 All he told us was that he was unable to find his best keywords out of the SERPs. They added that recently it was on top 3. After initial inputs from the esteemed client, our top webmasters have started the primary website analysis and all-inclusive compliance audit. 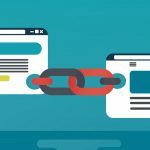 During this phase it was revealed that the website became the victim of over-optimization as high volume of links that had been built for this search term. The majority of the links in the website were from low quality directories and spammy article websites. Our team therefore came on the conclusion that the website was penalized due to above shortcomings in the website. In the nutshell, our action plan comprised an extensive link pruning strategy to remove site-wide links, network of links and unnatural links using Disavow tools. The consistent efforts of our experts finally reaped the fruit. They managed to restore the rankings on the top potions for all their keywords. Traffic on the website also improved considerably. Our extensive efforts pushed the site ahead in ranking as as we recommended and worked on numerous other aspects as well such as site quality, site content, navigation menus and images. The extensive revamp brought the site to the position it was before the penalty. The Google penalty finally revoked from the site and our clients' website achieved credible position in search engine results.